Once upon a time, in the late 1990’s, in a far-away land called Seattle, dot-coms were sprouting from nothing, from pot-fueled half-ideas on a Saturday night and on Monday a website and an IPO. In those strange days, Caitlin Myer worked for a dot-com. The company where she worked was bought by a larger dot-com, and that, in turn, was swallowed by a goliath of a company. Stock was at absurd prices. Myer knew it wasn’t sustainable, knew it was all going to come crashing down, so she made plans. As soon as she vested in her stock options, she would take the money and buy land in Portugal. She and her then-fiancé (now ex-husband) priced old churches and farmhouses, and realized that, with her stock options, they’d be able to live without another income for at least ten years. They plotted to start an artists colony there, and began meeting with other friends and artists in the Seattle area to structure the colony. And then, two weeks before Myer vested in those precious stock options, the dot-bomb dropped. Her option value sank by a factor of 100, and by the time she vested, far from having enough to found an artists colony in Portugal, she instead had enough for a very nice dinner out. Ten years later, in San Francisco, Myer had the privilege of meeting several exceptional writers. Daniel Heath, Leslie Ingham, Cary Tennis, Benjamin Wachs and Alice Wu all felt the rumblings of a new literary explosion in San Francisco, and knew they had to be a part of it. Together with Jason Bryan of Fivepoints Arthouse, they created Portuguese Artists Colony, finally giving body to Myer’s ten-year-old dream of artistic collaboration. They now they stage regular performances of their work with fabulous guest writers, live music and live writing. Why Portugal? It’s probably best not to get into Myer’s thing for Portuguese-speaking men, from Brazilians in her hometown of Provo, Utah, to a Portuguese soccer player, to a half-Portuguese husband. Let’s just say she’s always had an affection for Portugal, and traveled there for the first time in July of 2011, where she hosted a PAC reading as part of the DISQUIET International Literary Program. 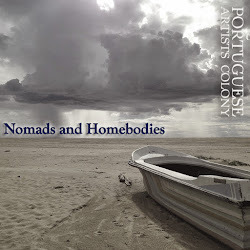 Scott Steinberg for suggesting “Portuguese Artists Colony” as the name for a short-lived writing group that included Daniel Heath, Benjamin Wachs and Alice Wu. Cary Tennis and his Friday writing practices, where ideas were hatched for PAC. Jason Bryan, for offering a space and the drive to make PAC a reality. The beautiful literary community in San Francisco, our guest readers, writers and musicians, and especially the audience, without whom we'd be reading to ourselves.